With the holiday season upon us, we here at The Grape Geeks often get questions about the etiquette of bringing wine to a dinner party or drop-in. While we consider wine to be the perfect hostess gift, there are a few tips to keep in mind. A big brand name is not what it used to be, especially in the world of wine. Thanks to national supermarket chains like Trader Joe’s, Aldi, Whole Foods, and Costco, wine buyers are increasingly turning to private label wines and looking to their local grocery store as a trusted wine vendor. The Wine House is one of my go-to wine shops whenever I am visiting Los Angeles. I’ve been coming here for years and it still provides a delightful experience. While there selection is by no means all inclusive, there are some gems on the shelves here. Lots of great California wines too. Anyone who is a citizen of planet Earth should be concerned about the future of where our water comes from. Between prolonged droughts, pollution and overfishing to name a few reasons, Earth is stressed out. 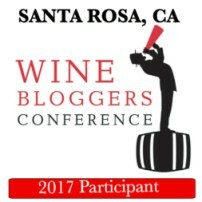 One of the most fun aspects of the annual Wine Bloggers Conference is learning about different wine regions from around the world. This year, I opted for the Rías Baixas seminar.